This April, we’ll be saying goodbye to 2556, the Year of the Snake and “Sabaidee” to 2557, the Year of the Horse, which is considered the seventh animal on the traditional Asian zodiac. So, just for fun, what can we expect ahead? Traditionally, in China and other countries where horses are popular, the horse is considered good luck, known for its constant efforts to improve itself. Among its positive qualities, the horse was a symbol of the energetic, the bright, the compassionate, the intelligent and the competent. There’s very little the horse cannot do, and many are considered independent free spirits. They’re often considered talkative, down-to-earth, and sometimes stubborn on things that matter to them. Horse years are often years when your fortunes fluctuate. Horses are flamboyant and prone to spending more than they should. If one were Chinese, one might look at the pending fate of Sochi after the costly Olympics or the recent performance of the Denver Broncos at the Superbowl as particularly cautionary tales. Horse children can often have difficulty seeing a project through to completion, and can be unruly and independent, chafing at too many restraints, rarely listening to advice and letting their famous bad tempers show. That can apply to a horse year in general. But what about Lao? 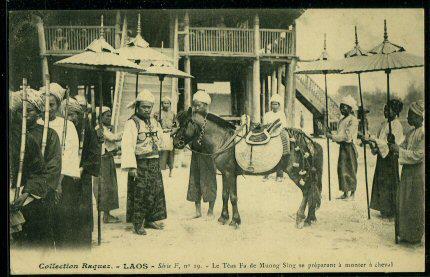 Lao attitudes towards the horse are a little different and this should be taken into account. While Genghis Khan and his people rode the horses across the world to the edge of Europe, Lao culture has traditionally had less of an epic tradition with the horse over the centuries. Most of the roles of the horse were instead fulfilled by water buffaloes and elephants. The scholar Douangdeuane Bounyavong, however, notes that “horses are as close to people as elephants are,” associated primarily with military and trade purposes. Lao have few folk sayings connected to horses, who are typically ill-suited for the Lao geography considering the time, care and expense of keeping them in good health compared to other animals. 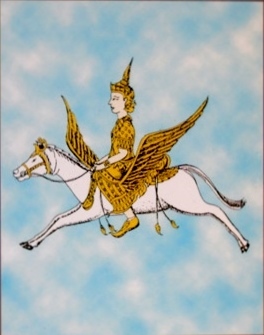 However, many Lao know the tale of winged horses who take good spirits to the heavens and were born to be the mounts of heroes. The most famous of these is Manikab, ມະນີກາບ, who is a key figure in the epic Phra Lak Phra Ram, and the epic of Kalaket. The heroes often ride Manikab into battle against fearsome giant Nyak and other horrors threatening the Lao. Manikab is traditionally considered an emblem of loyalty. Some Lao may also think of the legend of the heroine Keo Na Ma, or “Horse-faced Keo,” although that’s more of a figurative than literal translation. Knowing all of that, what’s coming up that we should be specifically watching for in 2557? 2557 will mark 660 years since the founding of Lan Xang, and 60 years since Laos was formally recognized by the United Nations and given independence. We don’t see many organizations across the US announcing plans to celebrate this, yet. But there are exciting things we know we can look forward to already. For example, will Lao nominees be put forward for the Council on Asian Pacific Minnesotans’ Asian Pacific American Leadership Awards this year? Lao Minnesotans are getting ready to welcome the return of Refugee Nation to Intermedia Arts in April. Acclaimed actors Ova Saopeng, Leilani Chan and Litdet Viravong will be performing the latest iteration of the popular multidisciplinary performance which has grown significantly since its last showing in four years ago. The Lao Minnesotan community is already starting to take a strong lead role in this year’s Twin Cities World Refugee Day celebration scheduled for June 14th, thanks to Saymoukda Duangphouxay Vongsay. We might also see many involved with the Minnesota Dragon Festival in July, although no one has formally announced a Lao team being fielded for the dragon boat races. In August, the Laotian American National Alliance will convene its national conference in Georgia. 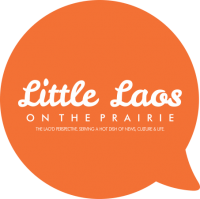 August will also be National Laotian American Artist Heritage Month based on the organizing efforts of different community members across the country right now, including Minnesota. The Center for Lao Studies recently announced it has opened for applications for participants in its popular SAIL (Study Abroad In Laos) program. Students and young professionals should also consider participating in the SEASSI (Southeast Asian Studies Institute) an 8-week langauge-intensive program in Wisconsin. Will we see many Lao Minnesotans apply? What other events should be on our radar? 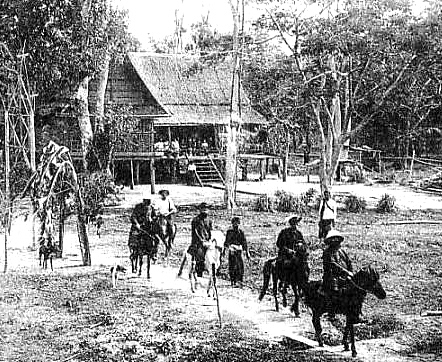 Previous horse years Lao Minnesotans observed in the US were 1978, 1990, and 2002 (using the American/European standard calendar). In each of those 3 years, there were many changes for us during our diaspora. Your mileage will vary about how much stock you place in this traditional belief. Some are very convinced of its accuracy. Others are not. Many Lao Minnesotans do perfectly well remembering that old Shakespeare quote: “The fault…is not in our stars, but in ourselves.”But a New Year is always a good time to look back and see the bigger picture of your experience: Where you’ve been and where you might go. What lessons have you learned, what memories have you made, what dreams have unfolded. If nothing else, we recommend you see the horse as a symbol of a journey this year.